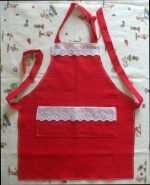 For Kitchen, Bath, Shop. Enough, but not too much scratch for wiping out non-stick pans in seconds. 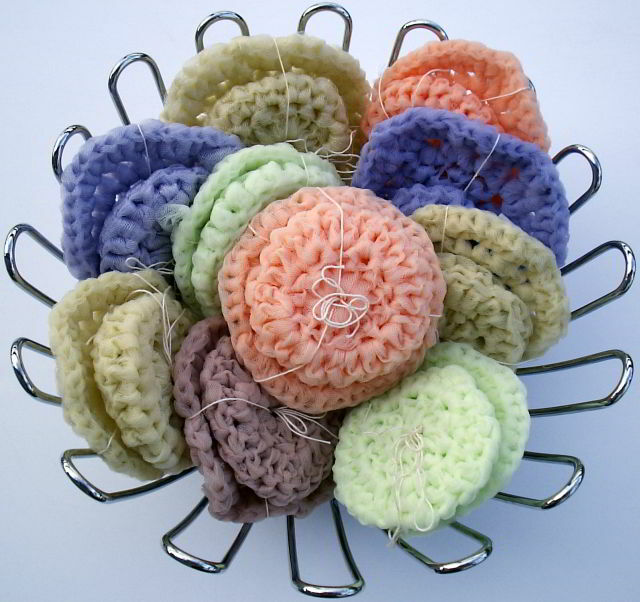 Tulle scrubbies catch small spots and angles that washcloths and rougher nylon net miss. 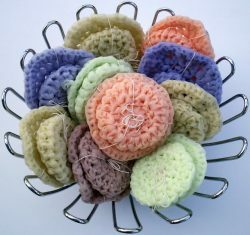 Perfect for cleaning cupcake pans, bath sinks, feet that have been in sandals, crafts, . . .
Two-Pack: A Spongy Puff in Small, Medium, or Large size with two layers for fast scrub jobs, and A Flat Pad that can be used on large surfaces, or folded and worked into corners and angles, around faucets and under rims. All two-packs contain the same amount of fabric. Wash warm, dry low or air dry flat.